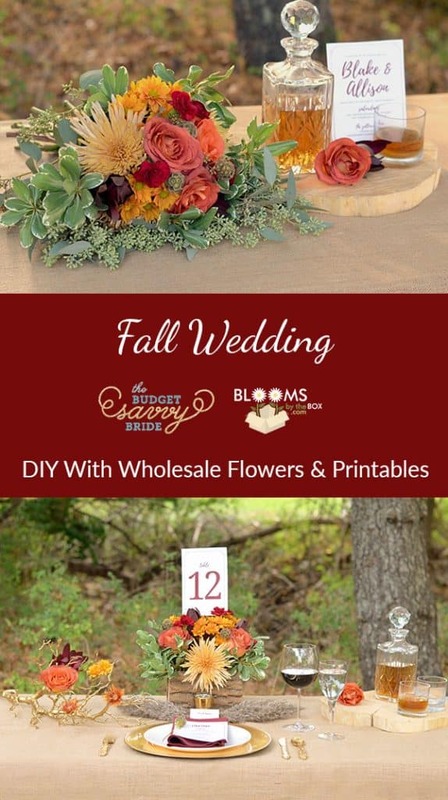 As official sponsors of The Budget Savvy Bride DIY Wedding Inspiration Series we are excited to be featured in the second installment of the series! 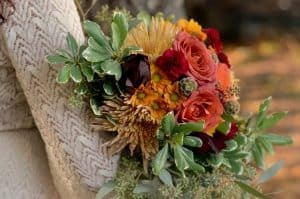 This Fall Wedding Inspiration post shares everything you’ll need to create picture perfect weddings, featuring floral inspiration for DIY brides! 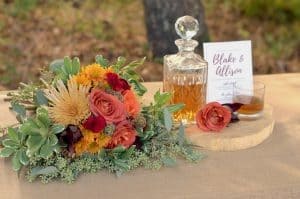 Blooms by the Box offers cost-effective flower options for your centerpieces and wedding bouquets, and Budget Savvy Bride provides coordinating printables, tips, and decor suggestions! 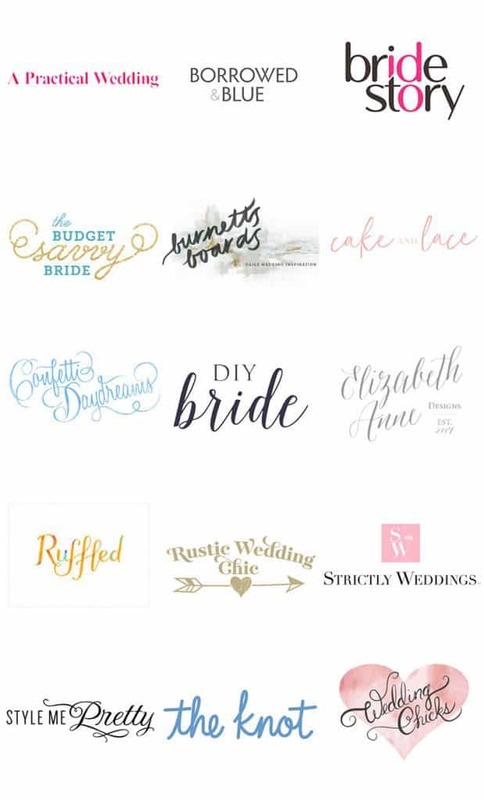 Brides-to-be will get a full package of ideas to craft their dream wedding on a budget! 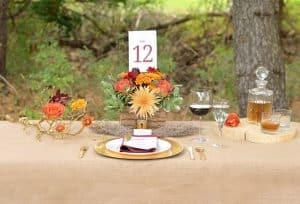 You don’t need to sell the farm to throw a rustic fall wedding. 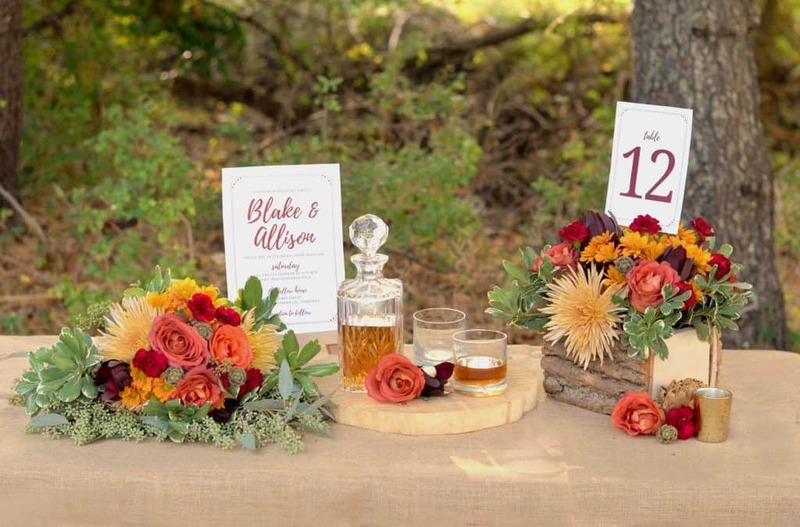 In this feature, we’ll show you how to DIY your flowers to create autumnal wedding perfection. 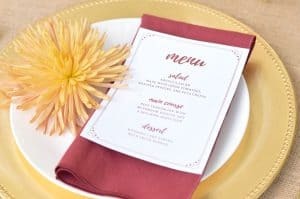 Paired with these rich, burgundy printable invites and paper decorations, the fabulous fall wedding you’ve been dreaming of is totally within reach. 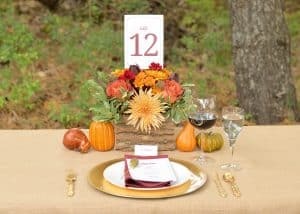 Even on a budget! 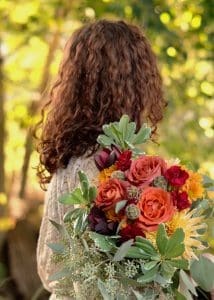 DIY The Arrangements From The Shoot!